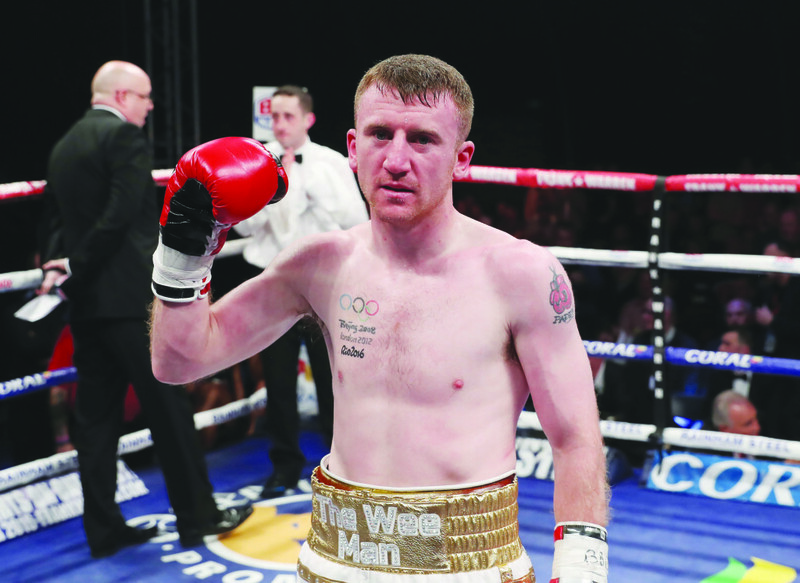 IT’S take two for Paddy Barnes at the Waterfront Hall this Friday night when ‘The Wee Man’ faces Argentinian hard man, Adrian Dimas Garzon eight rounds in his second professional contest. Barnes’ debut back on November 5 at the Titanic Exhibition Centre ended in farce when his opponent, Stefan Slavchev was disqualified in their fourth round for lifting the North Belfast man over his shoulder and provoking a justifiably furious response. This time around, Barnes wants a proper test against an opponent who was stopped by Jamie Conlan in four rounds back in 2015, but who will come to fight rather than foul. “This fight is my debut,” insists Barnes who is aiming to impress in front of the BoxNation cameras. “The first one was a farce. All it was, was a comedy show. Push on he has. Preparations for his November fight were far from ideal with his fiance, Mari in hospital with the birth of their second daughter, Fianna while he was still on the look-out for a full-time professional coach. He is now under the watchful eye of Danny Vaughan and prepared for this week’s meeting with Garzon with a camp split between Glasgow and Los Angeles where he trained and sparred at the Rock Gym beside Jamie Conlan and Tyrone McKenna who are also on Saturday’s bill and former Irish team-mate, Michael Conlan. “It was a very good experience out there,” reported the double Olympic medallist. “The pros are different level to the people over here. It was great to see how they train and to get a bit of sparring with them as well. He is also enjoying working with Vaughan and is confident they will form a winning partnership. “The first time on the pads I think I gelled with him. He is a great pads’ man and a very good coach,” he added. There were hopes he could be boxing for a title on this card or even going up against former European champion, Thomas Masson from France who is ranked in the WBC’s top 15, but that fell through. He had also hoped there may have been some form of title on the line this weekend as he aims to fast-track himself into the world title mix, but an opponent who will try and bring the best out of him was the basic requirement at least and he hopes the 10-21 Garzon fits the bill. “Anybody in the world, any journeyman in the world even would give me a better fight than that last dickhead,” he said of the type of opponent he requires. Still, a couple of fights to fully adjust to the professional style will serve the popular 29 year-old well and he is hoping the big nights continue to come to Belfast with local fighters getting their chance to showcase their talents on live TV and in front of big crowds, a trend he wants to continue with a dazzling performance this week. “I don’t think there is anywhere with a better atmosphere for boxing than here,” he said of his home city. “There are some top-class fights this week like Tennyson v Geraghty and McKenna v Hanney.